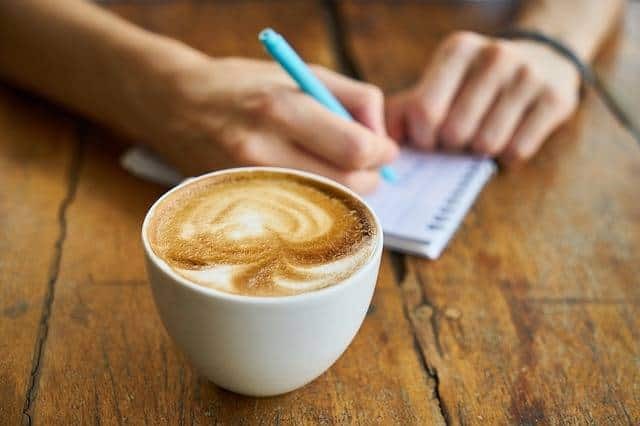 I have put together a list of the best cafes in Wellington and the best coffee in wellington. 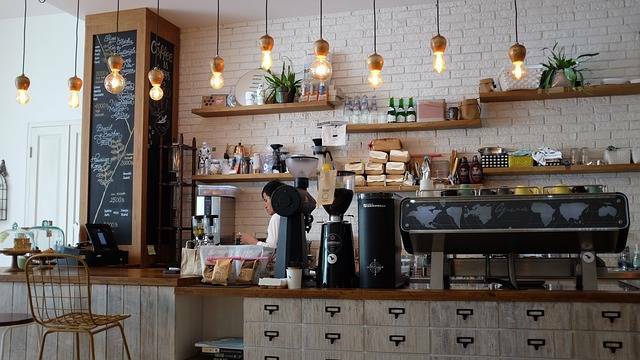 A New Zealand cafe knows good coffee and we have some of the best coffee shops in Wellington. 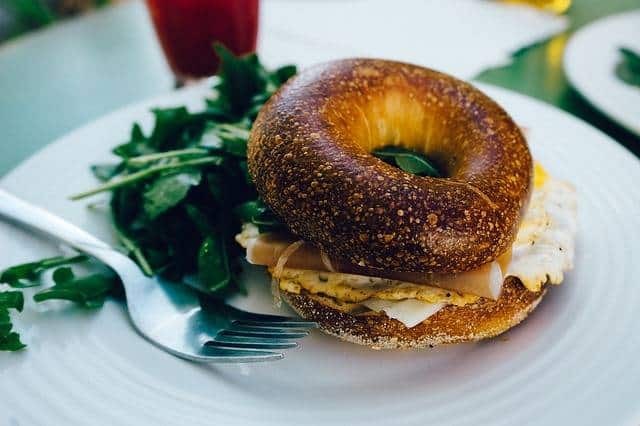 Here are some of the best places to eat in Wellington and the top cafes Wellington that are quite popular. 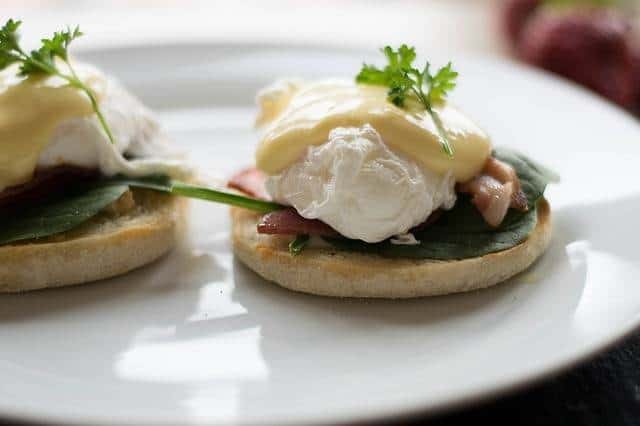 I have also put together a guide to the best brunch in Wellington which has a lot of the best cafes in Wellington as well. 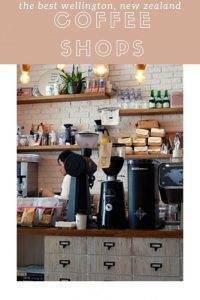 This guide to wellington coffee and best cafes in Wellington is a completely new list, so if you are looking for even more suggestions I suggest you check out the brunch places wellington as well. Alright, here are the best cafes in Wellington. This list is up to date and written by a local- ME! You will see old list by big publications that include Memphis Belle. This café is now closed but I have included the new café Swimsuit in my list which took over for Memphis Belle as it is a prime location. There are several types of coffee in Wellington and coffee beans. I’ll explain the top four types. Havana coffee bean – smooth, rich, complex beans. This is my favorite type of coffee and I hunt it out at different cafes in Wellington. I used to work in a building where the café used Havana coffee. Always delicious. Flight coffee beans – smooth, light, floral beans. This is my second favorite type of coffee in Wellington. Flight are Wellington coffee roasters and they sell to several cafes such as Flight Hangar and Swimsuit. Peoples coffee beans – strong, robust, dense beans. I can always smell Peoples coffee a mile away. It is perfect for those who like their coffee strong. Mojo signature blends – light, floral and a bit weak. This is perfect for Americans who are used to drinking American coffee. 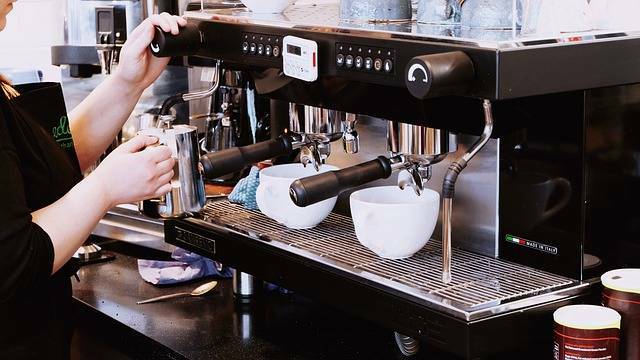 In a New Zealand café, most people order a flat white. 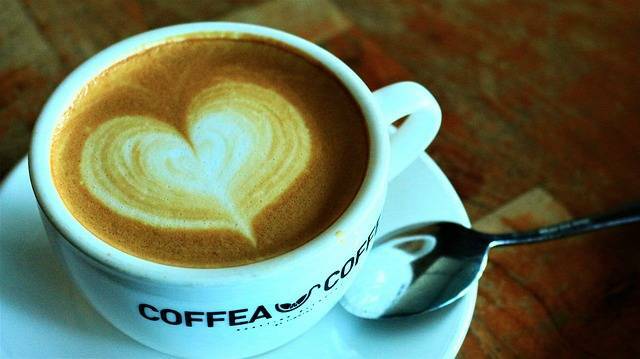 A flat white is a shot of espresso with steam milk which is part of the New Zealand coffee culture. I like to order a latte which is a lot milkier – it also helps as the coffee is quite strong in New Zealand. Havana coffee is the best coffee Wellington. I love Havana coffee as it is the best coffee beans NZ. They have a cosy retro café on Tory St providing coffee for Wellington’s caffeine addicts. They roast their beans on site and you can buy a bag of their freshly ground coffee beans. Havana coffee is fairtrade coffee and have been based in New Zealand since 1997. Pravda means “the truth” in Russian. Right in the heart of the city Pravda is the perfect place to go for everything from a morning flat white to a leisurely lunch. They serve breakfast from 7am and they have everything from egg dishes to salads and sandwiches. This is a more upscale café and bistro. Their cheese scones are world famous in Wellington and they serve Immigrants Son coffee which is roasted in Wellington. I love to go here for my morning coffee and a cheese scone but my favorite is to go here for lunch. This is a great place to meet with the girls and order a Chicken Caesar Salad. This salad is done to perfection at Pravda. They are also open for dinner and do a great steak. Capitol’s menu is strongly seasonal and fresh. That’s why I like going here a lot because the menu is always changing with the seasons. Serving brunch, lunch and dinner there are always specials going on at Capital as well. Grilled fig and duck liver pate on bruschetta? Yes, Please. My favorite thing to order is the crispy fried chicken with shredded cabbage slaw. It’s a delicious salad that still leaves room to have one of their soft centered chocolate puddings with crème fraiche. I have gone to a lot of brunch/lunches here because it is a prime location in town and perfect for a quick lunch before going to a movie next door. I like going to Charley Noble because its just good food whether you are going for breakfast, lunch or dinner. The menu always has something interesting and you can tell this is a place that thinks outside of the box. I always make sure I can visit during Wellington on a Plate in August to try their Burger Wellington. They have been in the top 5 for the burgers so many times and even won too. This is a great quiet place to go for breakfast and I love their potato waffles with house cured salmon gravlax, dill crème fraiche, and pickled cucumber. Can you tell I rarely order just eggs? For lunch or dinner you cannot beat ordering the classic fish and chips. Its always good and done just right. Ti Kouka is a café located upstairs on Willis Street next to New World. If you blink you will miss it but I promise there is a sign by the stairwell and at the top it opens up onto Ti Kouka Café. This is a great spot for lunch and they are vegan friendly as well. Ti Kouka uses the Leeds Street bakery for all of their baked goods and burger buns. Their slow cooked brisket burger is on a Leeds St burger bun with blue cheese croquette and slaw. Ti Kouka is one of the best café in Wellington NZ. I always find everything is done to perfection here. I met a friend for a coffee and a salted caramel cookie and I took a sip of my coffee and said wow! It was just perfect. I love it when places pay attention to the details like that. Karaka is a Maori word orange and you can see pops of the color throughout this wellington waterfront cafés. Karaka Café boasts some of the best Aotearoa cuisine. They have eggs benedict with corned beef and also the ever popular Hangi dish. They also have my favorite Havana Coffee. In Wellington we say ‘You can’t beat Wellington on a good day’. Wellington is the best on a nice sunny day and this café is a great place to enjoy the weather and the harbour. This is a great place for Kai (food) or a glass of Nga Waina (wine). I like the relaxed feel of this café and they even have bean bags which encourage you to laze around and enjoy the sun. Floriditas is a Wellington Institution. This small and cosy café is based on Cuba Street the heart of the city. They have deliciously tasty food and Supreme coffee. People love this place for breakfast or brunch but I find it a bit difficult to find anything outside of eggs, toast or granola. Where they do shine is there is their lunch menu. Corn fritter or fish pie either choice is a definite winner to me. This place has been around ages (and survived a fire) and is still just as popular as the day it opened. Egmont Street Eatery is a hidden gem of a place. They are always doing unusual twists on classics. And you can tell how popular it is by how packed it is daily. Another seasonal café serving up contemporary food, awesome cocktails and craft beer. They also have a lovely selection of sweet treats and baked goods. I like to go for lunch on the weekend but I have also had their Pork Milanese with kale, mushrooms and chili. It was a lovely balance of flavors. They also have a great burger called the Egmont burger. Americanos is an American style diner café. They serve stacks of pancakes, eggs every which way and bottomless coffee. 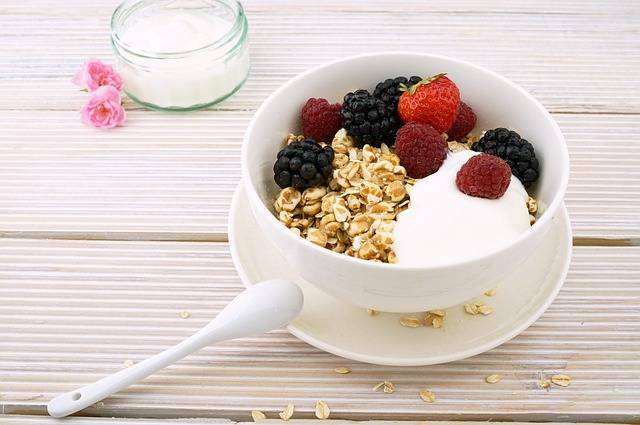 If you are looking for all day breakfast then this is the place for you. They also serve lunch like the chicken bacon and pesto burger or the BBQ Texas burger and lots of salads and sandwiches. This is a nice inexpensive place to eat with large portions. This is what we call a cheap and cheerful option and its great if you are looking for a place to go after Te Papa. They serve breakfast all day – waffles, eggs on toast, breakfast burrito and even vegetarian options. I’ve had their pulled pork burger and they also have really good milkshakes. Again this is American style food with large portions and great if you are hungry. I mourned the loss of Memphis Belle café when it closed in 2019. They had the best flight coffee! The new café is called Swimsuit and they serve Peoples coffee there. This place is quite laid back and friendly and serve up BLT toasties for $10 and coffee from $4.50. They also offer cheese scones but do try the bacon and jalapeno one and vegan baguettes. Think counter food when you order here. I like how light and bright the café is now and the beachy vibe you get. This is a great place to relax. It’s a hard choice really. The best coffee in Wellington is any café that serves Havana coffee for me. Also, In Wellington you go to a café because you are craving something in particular. So if I want a cheese scone and a coffee I go to Pravda. If I want a good burger I go to Ti Kouka. 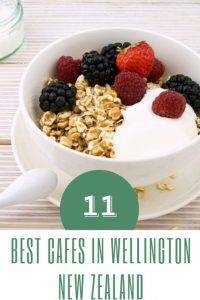 This list is just the beginning of best cafes in Wellington as I also have a list of the best brunch places in Wellington which is a whole other list of cafes for you to choose from. Eating out in Wellington is a ritual for Wellingtonians. We all know where to eat in Wellington and I was happy to share this list with you. Do you have any recommendations on where to eat in Wellington? Café, coffee shop, brunch or breakfast? 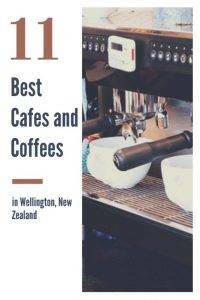 What do you think is the best cafe in Wellington? Sharing is Caring! Pin to save for later. Great list you got here, Nicole. It’s best to avoid coffee shops that claim to have great tasting coffee when in fact it’s just instant coffee and they just added hot water. It can be very disappointing when you’re looking for a caffeine boost and you end up with hot chocolate pretending to be coffee! Awesome list! I live 30mins from wellington but rarely go to the city… I definitely need to check out your suggestions, especially Mama Brown with its location near Te Papa! I’m from the UK but love the cafe culture in New Zealand. I love visiting small little cafes! Thanks for the recommendations! All that food looks so good! We’re pretty big on coffee over here in the UK too. I’ll remember your list for if I ever visit New Zealand. This is a great list and definitely something I should not have read when I was already hungry! Always looking for a good cafe to get some work done. Any you’d recommend for having good wifi and plugs for laptop chargers?